U3A is an international movement that encourages people, who are over 55 and no longer working full time (retired and semi-retired), to take part in lifelong learning activities for mental and physical well-being and for pleasure. Being in your Third Age is the only criterion for membership of a U3A. There are no prior educational qualifications or requirements. We do not hold exams or award degrees! 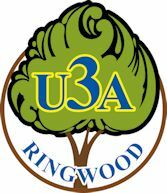 U3A Ringwood was one of the first U3As in Australia when we opened in 1986 to cater for the varying interests and educational backgrounds of people who were nearing retirement age, were no longer working full time or had retired. The classes include physical activities such a Tai- Chi, yoga and table tennis and class room activities such as current affairs, music appreciation, film, computers, art and languages. Quite often members are tutors in some classes and learners in others. The cost of being a member of U3A Ringwood is very low because the time and effort, needed to run the organisation, is given voluntarily by its members.